On Sunday morning after the church services were held, Titanic receives her fourth ice warning. 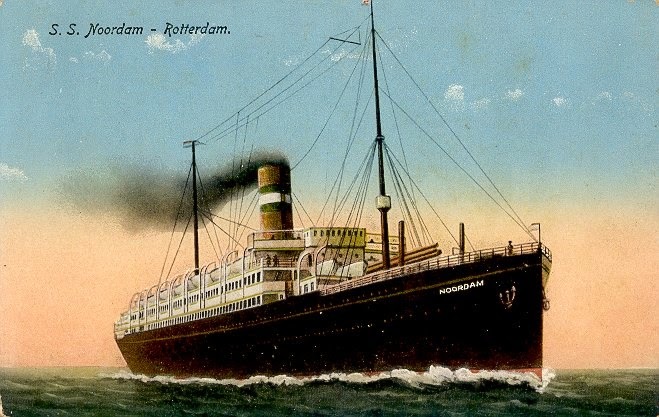 This one is from the Dutch liner Noordam. This message is once again addressed to Captain Smith and describes much ice in the same region that the Coronia warned Titanic about earlier. Smith acknowledges the message, but does not post it in the chart room. Still, only 1 out of 4 messages has been given appropriate attention and posted in the chart room. No one can know that the officers have only 12 hours left to take the ice warnings seriously.